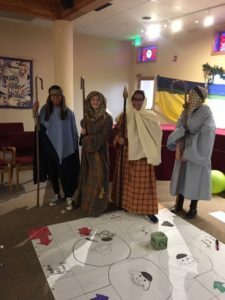 Rio Rancho Presbyterian Church is a welcoming, inclusive Christian community of faith celebrating God’s love through worship, caring, learning, fellowship and mission. RRPC is a vital congregation of 230 members and growing. Our church includes multi-generational families, couples and singles. We are blessed to have the leadership and participation of many of our 1986 Charter Members. All people are welcome and invited to fully participate in the life and ministry of our church. At RRPC, our worship is a blend of both traditional and contemporary styles in our music, prayers, and responses. The order of our worship follows the Presbyterian Book of Common Worship and the Directory of Worship portion of the PC(USA) Constitution. However, we also use various additional worship forms and music from all over the world. 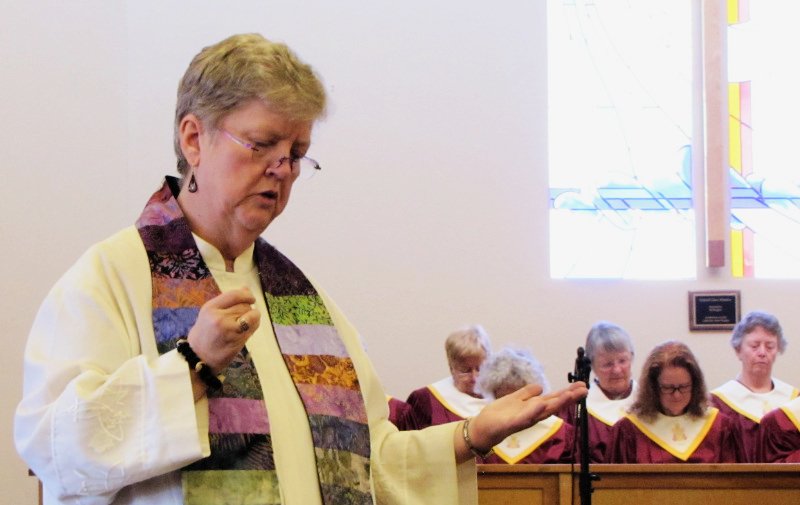 Preaching and the sacraments are central to Presbyterian worship and to RRPC as well. Our pastor preaches Biblically-based sermons which speak to our everyday discipleship in the world. Sunday, April 14th at 10 am – Join the crowds that entered with Jesus on Palm Sunday. 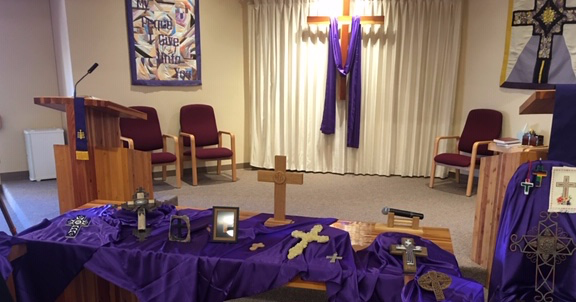 Maundy Thursday, April 18th at 7 pm – A service of communion remembering Christ’s last supper with his disciples. Communion will be celebrated around tables. This is a particularly meaningful service of reflection and remembrance. Good Friday, April 19th at 7 pm – We are hosting our combined service with Shepherd of the Valley. This is a solemn service that recalls Christ’s sacrifice and what it means for us. Special music, scripture and hymns will mark this service. The Day of Resurrection! Easter Sunday!! Sunrise service is at 6:30 am in the Rose Garden. Join us (bring a lawn chair), as together we celebrate a tomb that is empty and a Lord that has Risen!! Easter Celebration at 10:00 am With brass and choir, we will rejoice in Christ’s victory over death. The choir will be bringing the Word through Music with selections from Vivaldi’s “Gloria” and “Rejoice, the Lord is King”, a cantata by John Purifoy.